We want everyone to have fun, but no one person’s attempt at fun should create a dangerous or negative experience for any other person or group in visiting us. Please respect our rules and enjoy your time at Speedy’s Fast Track. if you are removed from the track, there will be No Refunds in this case. A minimum height of 54 inches is required for drivers. 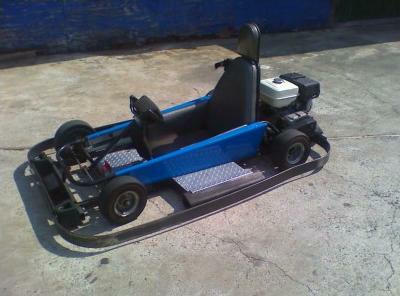 You must be at least 15 years old to drive the Super Karts. A maximum weight of 450 lbs. to ride on the track. You must have a valid drivers license to drive the F1 Karts. and obey all verbal and signaled commands. permitted to drive or ride the karts. No intoxicated person(s) shall be allowed to participate in karting. Never stop on the track unless directed to by Speedy’s Fast Track safety personal. Kart racing poses a threat to those with back or neck injuries. Speedy’s Fast Track will not tolerate any bumping or wreckless driving. This is a FAMILY entertainment center, no obscene language will be tolerated. There is no cell phone use of any kind while riding or driving in the karts. Remain seated in your karts until directed by attendent to exit the ride. Passenger must be at least 36” tall to ride in a two seat kart..
Max number of people in kart is one. No passengers. system will not engage until the very end of each ride. If you fail to follow our rules or instructions issued by the staff, or if you are removed from the track, there will be No Refunds in this case. not engage until the very end of each ride.